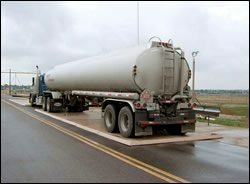 We build entire cities as well as roads, highways & bridges out of concrete, so it seems logical to use concrete for industrial applications such as SPCC spill containment. However, as the examples below will illustrate, concrete has serious weaknesses and limitations. To the left is a concrete secondary containment system built in early 2000. It was constructed to the highest standards with the latest technologies. The cost for the 80’ long x 14’ wide “system” was over $80,000, with major site disruption of 6 weeks from start to finish. Functionally, this system is totally ineffective for SPCC purposes because the concrete has cracked! 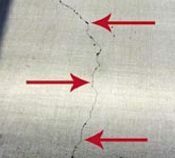 Every section of this concrete system developed cracks that ran the entire width of each section. That’s six 14-foot long cracks! A better, truly effective solution is a pre-fabricated Polystar Containment Pad that can be installed in just hours. It can be re-located as needed. These surface-mounted secondary containment systems won’t crack & offer years of performance in the most extreme hot or cold conditions. 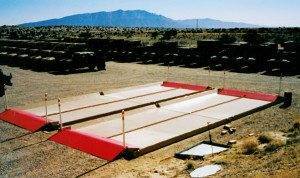 A comparable 80-foot containment pad system from Polystar can be delivered and installed (in the lower 48 states) for approximately 60% of the cost of the failed concrete system above. Installation only takes 5 hours. Polystar’s heavy duty, drive-on Containment Pad™ for secondary spill containment. Polystar’s modular, heavy-duty drive-on containment system – the Camel Tri-Star® for spill prevention. 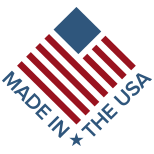 Contact Polystar Containment today and get started on SPCC compliance for the 21st century that won’t crack, leak, decay or crumble and can be moved as needed for years of reliable secondary spill containment in industrial and military applications.